It’s obvious from the first that AKG’s latest pair of “master reference headphones” sit at the top of the company’s product range. The model number is at least 60 higher than any previous pair of AKG headphones I can think of. They come in a box large enough to inter the family dog. They ship with a “ballistic nylon travel case” that looks and feels as though it should keep your investment protected for years to come. And they have a price to match their flagship status. If the idea of dropping a four-figure sum on a pair of headphones appals you, stop reading now. It’s also obvious from the first that some serious engineering has gone into the physical design of these headphones. Rather than attaching directly to the frame, each earcup pivots fore-and-aft on a metal ring, which in turn pivots top-to-bottom on a second ring. This freedom to rotate independently in two planes means they sit flush against the side of the head, and the “all-metal cardan hinges” on which the gimbals pivot are smooth and silent. As with other high-end AKG ‘phones, the weight of the K872s is carried not by the metal frame itself, but a soft padded strap that sits inside it. This arrangement is very comfortable, though the frame itself is noticeably resonant and ‘pings’ audibly if knocked, and the K872s don’t fold or collapse in any way to facilitate transportation. Only one cable is supplied: it’s 3m long, straight, and attaches via a Lemo connector on the base of the left gimbal. At the other end, it terminates in a slightly incongruous mini-jack, to which a screw-on adaptor can be added if you need to go full size. In the world of headphone design, goals such as an extended, flat frequency response and low distortion are more easily met in open-backed designs than in closed-back models. 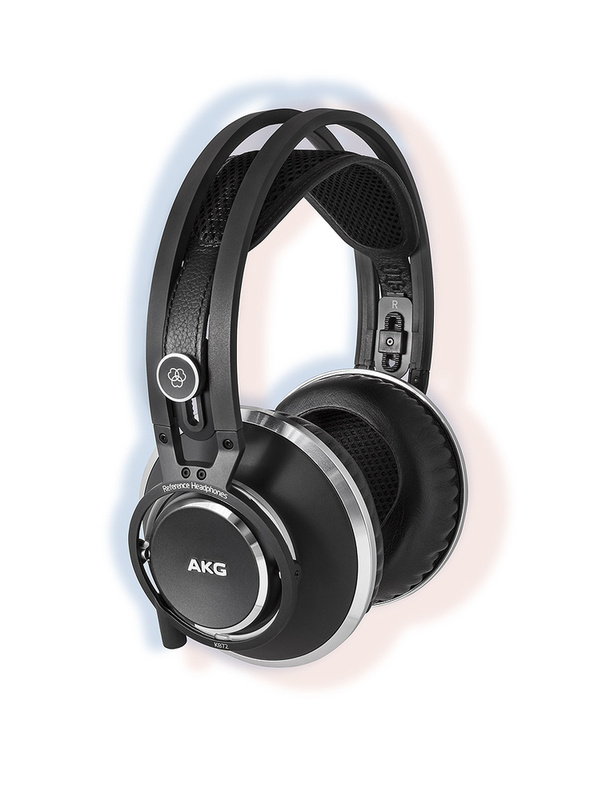 For this reason, ‘reference quality’ headphones intended for critical tasks such as music mixing are usually open-backed, including all of AKG’s own high-end models to date. Not so the K872s, which aim to capture the same sonic virtues in a closed-back design, with clear advantages relating to spill and isolation. These advantages are obvious as soon as you put them on for the first time, in fact. Fully enclosing the ear, rather than sitting on top of it, AKG’s “sound sealing” earpads do exactly what their name suggests, and they do it remarkably well. Other headphones I’ve tried that offer above-average levels of isolation, such as the Sennheiser HD25 MkII or Focal Spirit Professional, tend to achieve this by clamping themselves vice-like against the ears. The K872s, by contrast, feel like they are barely touching the sides of your head, and the drivers sit perhaps an inch or more away from the ears; yet the extent to which they cut out background noise is pretty extraordinary. I’d go as far as to say that they offer the best isolation of any high-end studio headphones I’ve tried, while being among the most comfortable to wear, which is no mean feat. With a quoted sensitivity of 112dB SPL/V and a nominal 36Ω impedance, the K872s are easy to drive from a low-power source (and likely to fry your head if connected to a studio power amp! ), though I found that they sounded noticeably better when connected to a ‘proper’ headphone amp rather than the one built into my laptop. The frequency range is said to be an eye-catching 5Hz-54kHz, but no tolerance is given, so it’s not clear whether these represent the -3dB points. I’ve tried most of AKG’s high-end open-backed ‘phones at one time or another, and to my ears, the similarities between them are much more pronounced than the differences. There is undoubtedly an AKG ‘family sound’, which I’d characterise as being wide, detailed and slightly recessed in the mid-range. If you like clear, articulate bass and a sparkling top end, all of the K-series models are likely to float your boat; if, on the other hand, you are looking for something that is to headphones what the Yamaha NS10 is to loudspeakers, you won’t find it in AKG’s line-up. That hasn’t changed with the K872s. In fact, the most striking thing about their performance is how well AKG have managed to translate their family sound to the closed-back format. Those who know and like the open-backed K-series ‘phones will find all of their positive qualities present and correct here, too. The top end is definitely on the present side of neutral, but feels smooth and relaxed, without any obvious peaks or resonances that could prove misleading at mixdown. The bass is not exaggerated at all, but is impressively clean and precise, making it easy to differentiate pitched subs from unpitched thumps, and wanted noises from unwanted rumbles. If you’re used to lesser ‘phones, some material can even come across as slightly lean-sounding, perhaps because the K872s aren’t filling up the lower mid-range with boomy resonances or distortion products. Arguably, they actually improve on AKG’s open-backed models in terms of their stereo imaging, which seems a touch more natural and less artificially wide. They also seemed to present musical dynamics in a more expansive and open way than most of the closed-back ‘phones I compared them with. I don’t know whether the K872s needed the ‘burning in time’ that some people insist upon, but the more I listened to them, the more I liked them. They are definitely voiced on the bright side of neutral, which wouldn’t usually be my own preference, but their sound is more analytical than hyped, and there’s nothing that would prevent their becoming a reliable reference tool once you’re familiar with them. Sonically, the K872s are one of very few pairs of closed-back ‘phones I’ve heard that can hold their own against the top bracket of open-backed models; and unlike any open-backed design, they combine good sonic performance with excellent comfort and impressive isolation. If performance is more important than budget and you need to spend long hours editing in a noisy environment, recording sound on location, or making critical decisions about audio without disturbing others, the K872s should be right at the top of your shortlist. They’re very comfortable, yet they offer remarkably good isolation. Easy to drive, with a clean, crisp and detailed sound. Slightly bright sound character won’t suit all tastes. 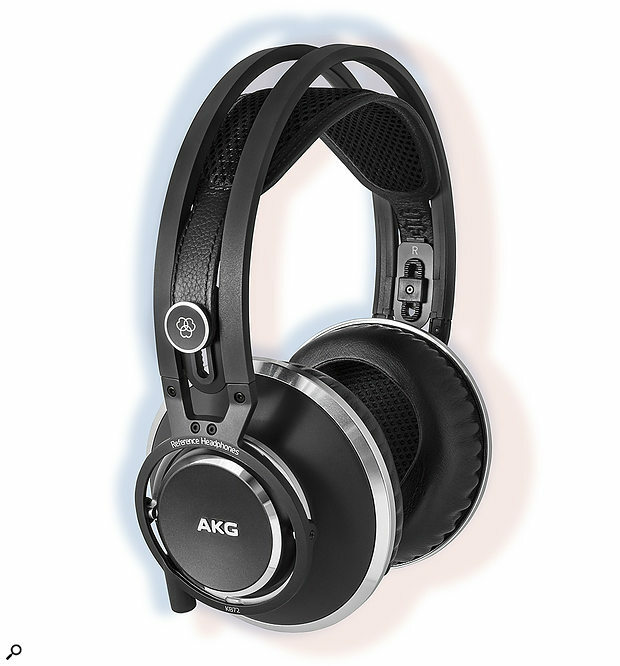 AKG have successfully transplanted the signature sound of their open-backed phones into the closed-back K872s. They’re pricey, but they sound good and offer outstanding isolation.